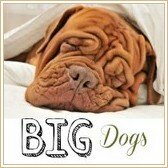 The best dog breeds for families come in all shapes and sizes... just like the families they love so much! The hugely popular Labrador Retriever is often the first breed that springs to mind (and Labs do make fantastic family pets) but there are also LOTS of other breeds that are the perfect fit for family life, and some of them may surprise you. What Makes A Breed The 'Right Fit'? Getting a new puppy is one of those situations that easily lends itself to 'impulse buying'. ALL puppies are adorable, and pretty much irresistable, so it's definitely a good idea to do some research and have a good idea of the type of dog that you want BEFORE you start actually looking at puppies. 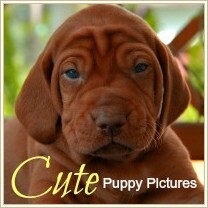 If you don't have some sort of guidelines to follow, the first pair of puppy-dog eyes you see could be your downfall! Do you have children? If so, how old are they? 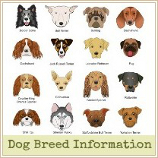 (See my Best Dog Breeds For Children page) Are there elderly/frail relatives living with you? Are you (and your spouse if appropriate) strong/healthy enough to exercise a dog? Is everyone 'on board' with adding a dog to the mix? Does anyone have allergies? Do you live in a house with a fenced yard? An apartment (pets allowed)? How much space do you have? In the city? Countryside? 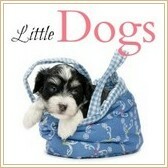 What are the local regulations regarding dog ownership (ie BSBL)? Is there anyone home during the day to care for a puppy? Do you travel/vacation or spend time away from home often? Are you an active family, or do you prefer 'at home' activities? What do you want from the dog who will be coming into your life? What dog breed/s do you feel drawn to? Someone once told me, that there's no such thing as a 'free cat' - it will end up costing you money one way or another, and it's so true! The same applies to dogs. Make sure you know the real cost of owning a dog (and that you can afford to pay it) before you commit. Annual veterinary exams and vaccinations and de-worming, food, accessories and toys, training classes, emergency/accident/unexpected vet expenses (I strongly advise buying Pet Dog Health Insurance to prevent having your savings wiped out! ), damage to your property/belongings, kennel/boarding/petsitter expenses for when you're away, fencing/containment.. the list goes on and on. This might seem like a long list, and perhaps you're thinking that many of them really don't matter....... that any puppy can 'fit in' with your family, and grow up to be the sort of dog you're imagining. Think again! An active, working dog such as a Border Collie can make a fantastic addition to an active family, with school-age or older children, who enjoyed walking/hiking, have plenty of space for him to run and who are willing to teach him to play frisbee, join an agility club or formal obedience classes or any other doggie activity that involves exercise, routine and fun. BUT they rarely fit well with a quiet family who prefers indoor activities, or who have young children running around and need the canine-equivalent of a couch potato. When it comes to the dog:family match-up, there's definitely something perfect for every family, but you need to do your homework to get that happy ending! 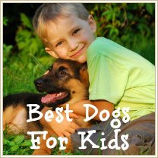 The Best Dog Breed For YOUR Family? 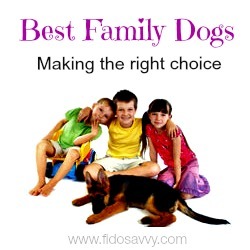 Once you've figured out the answers to the questions above you've taken the first step towards picking out the perfect puppy for YOUR family and lifestyle. 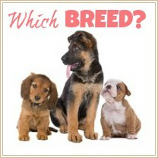 When you're considering a family dog, don't forget the humble 'mixed-breed' pup! In some cases, these dogs of mixed heritage can be healthier (both physically and mentally) than many purebred dogs. Just because they don't come with 'papers' doesn't mean that they're inferior in any way. Lots of us have fond memories of a family pet who was of 'doubtful parentage' but has a special place in our hearts and was one of the best family dogs ever. The main variable when choosing a mix breed, is that you can't be sure what size or breed-specific traits the pup may grow up to have. If you know what both parent dogs are, you can estimate that their puppies will grow up to fall somewhere in between their height/weight range, and knowing whether mom/dad are part Retriever or part German Shepherd may give you a few clues as to their temperament and personality, but it's generally just a 'wait and see' type deal. Whether you choose a purebred or mixed breed, don't forget that there are thousands of dogs in shelters and pounds, just waiting for a family to love them. These dogs are usually not there through any fault of their own (remember my hypothetical story above) and your perfect family pooch could be waiting for you right now. Whether you adopt a puppy or an older dog, you'll be giving a lonely dog a chance to be safe and loved, and rescues often make the very best pets (I know this for a fact because we have several pound puppies in our family). Please don't forget that adoption is always an option! 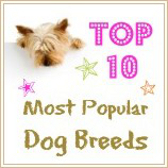 Now, let's take a quick look at just some of the breeds that have proven themselves to be great family companions. But please remember that every single puppy or dog is a unique individual, and although dogs of the same breed will have many characteristics in common, personality is a one-off thing! Not ALL Labrador Retrievers are friendly and calm, just as not all Jack Russell Terriers are whirlwinds of energy and enthusiasm. 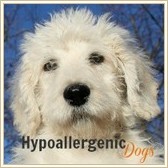 Take care to evaluate the temperament of any pup you're interested in, and also the temperament of his/her parents. 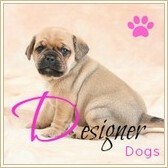 Visit breeders, spend time with different breeds, and different dogs within each breed. Take your time and don't rush it, that way you'll know when you've found the 'one'. Sometimes what turns out to be the perfect dog for your family can sneak up and take you by surprise! Best of luck, enjoy the hunt!